This coconut smoothie is really simple to make and super-nutritious. The base of the smoothie is coconut milk (from the can). In addition to providing lots of really healthy fats, it has natural antifungal properties and can help to maintain healthy gut flora. This tasty smoothie also provides you with a hit of protein, healthy fats, antioxidants and omega 3s from the addition of almond butter and chia seeds. 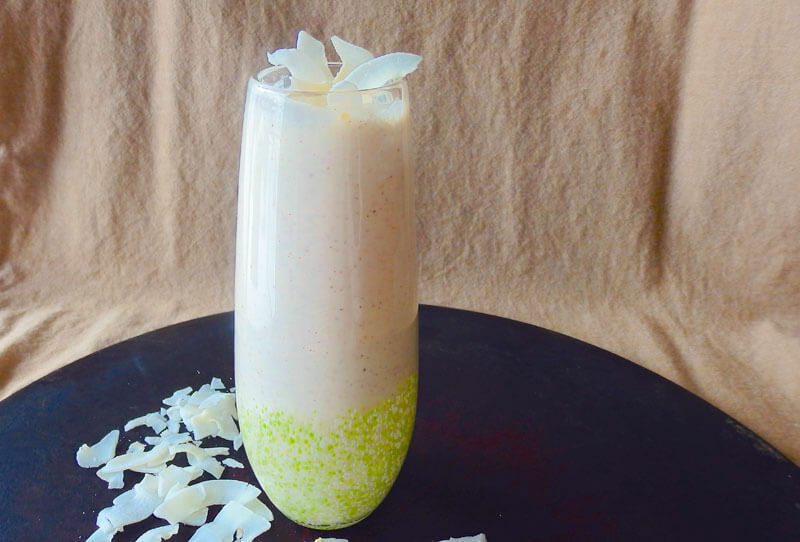 Coconut extract as well as coconut flakes give this smoothie that extra coconut flavor boost. Great for breakfast or as a satisfying snack!